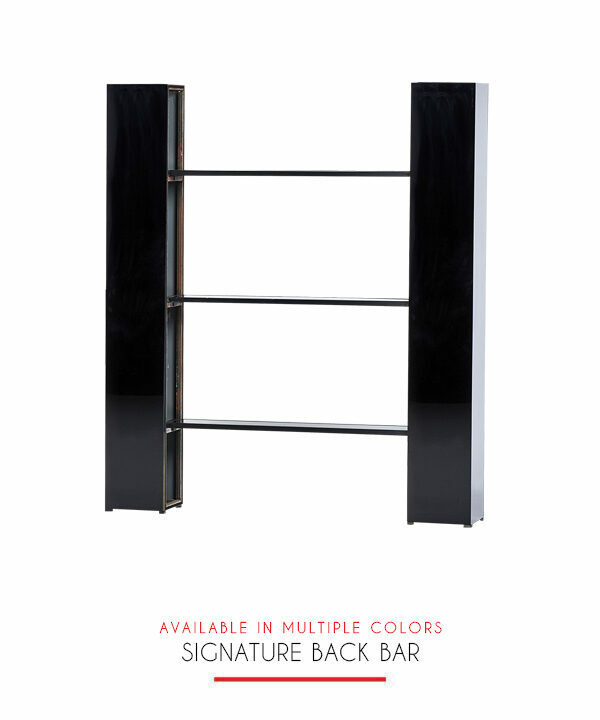 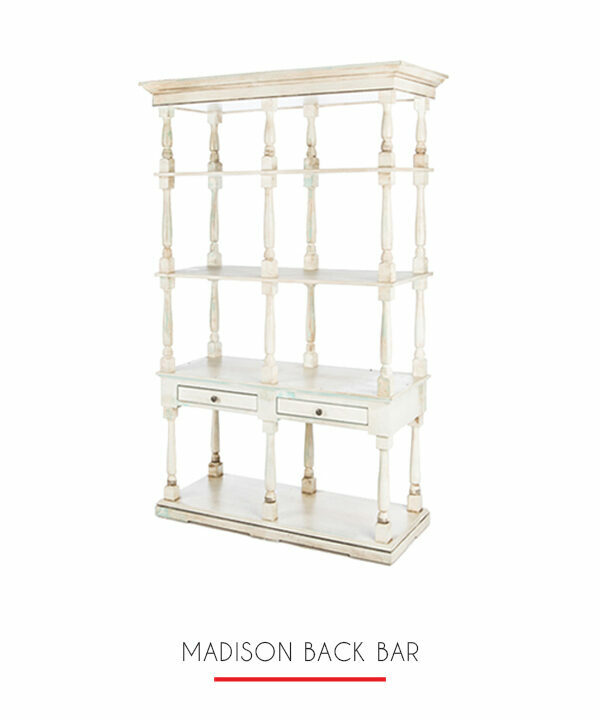 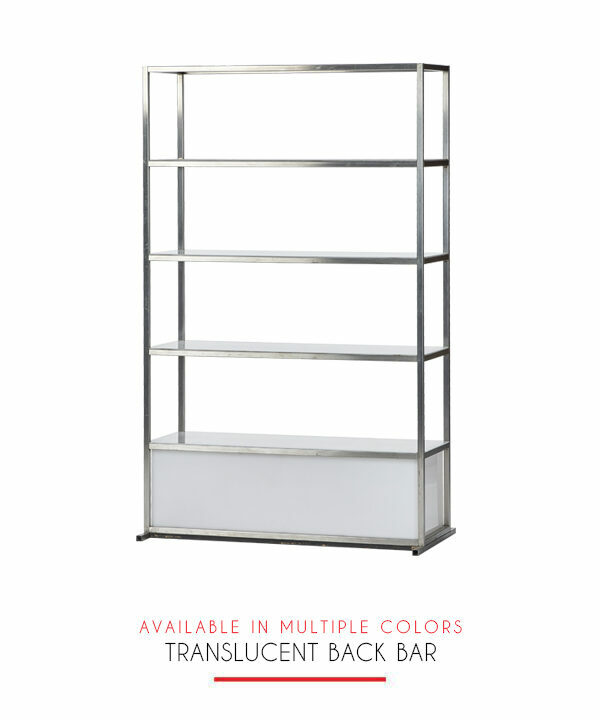 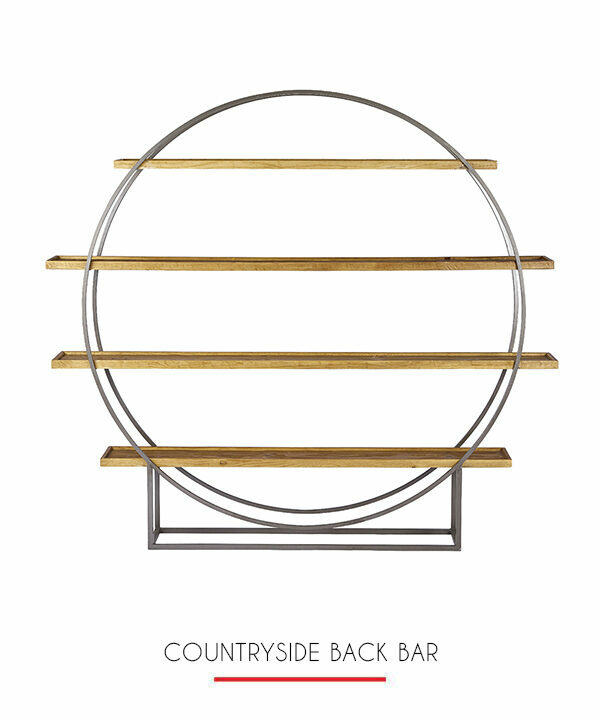 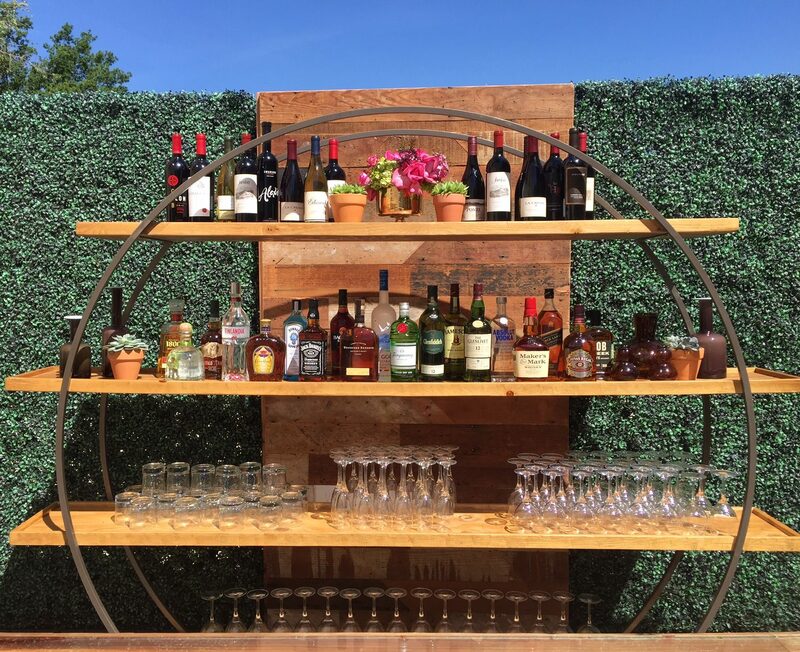 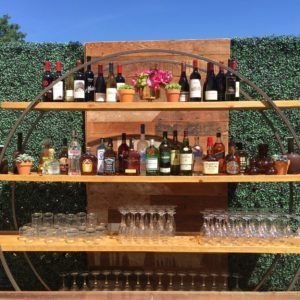 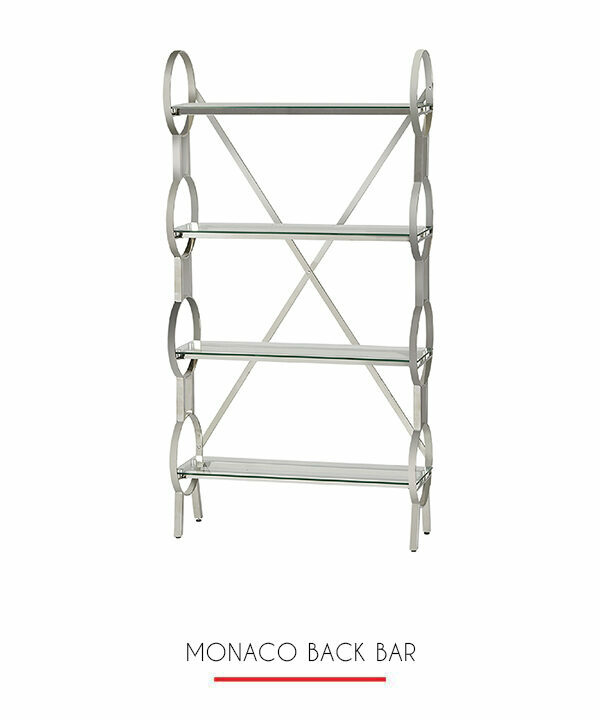 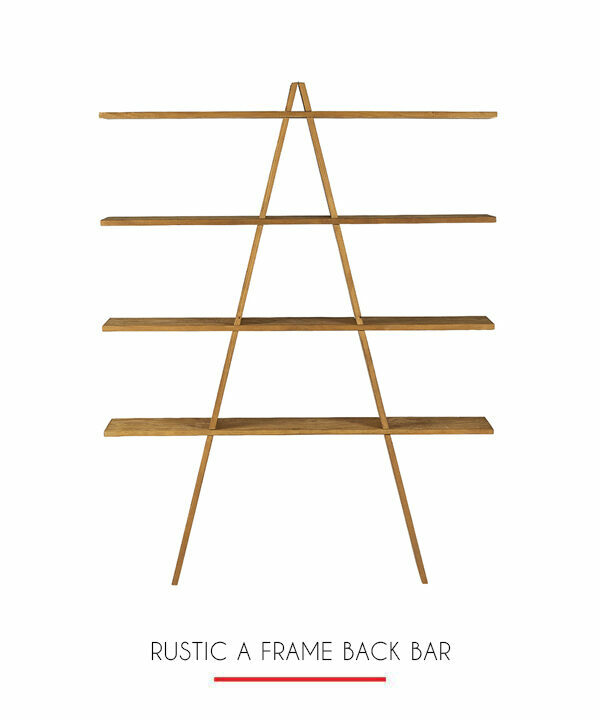 This amazing round back bar is a show-stopping piece for your next event. 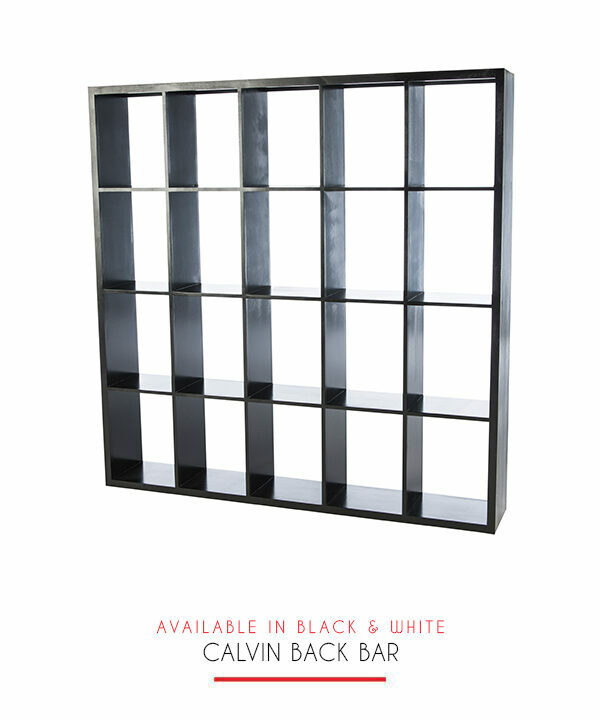 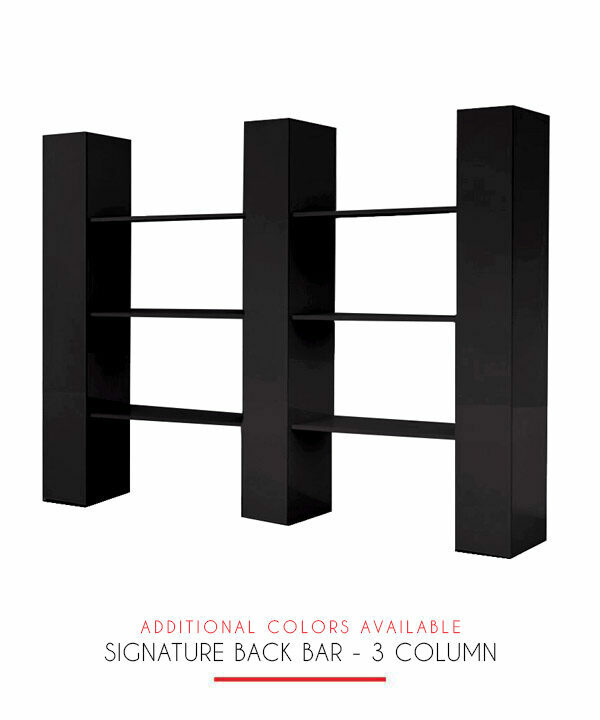 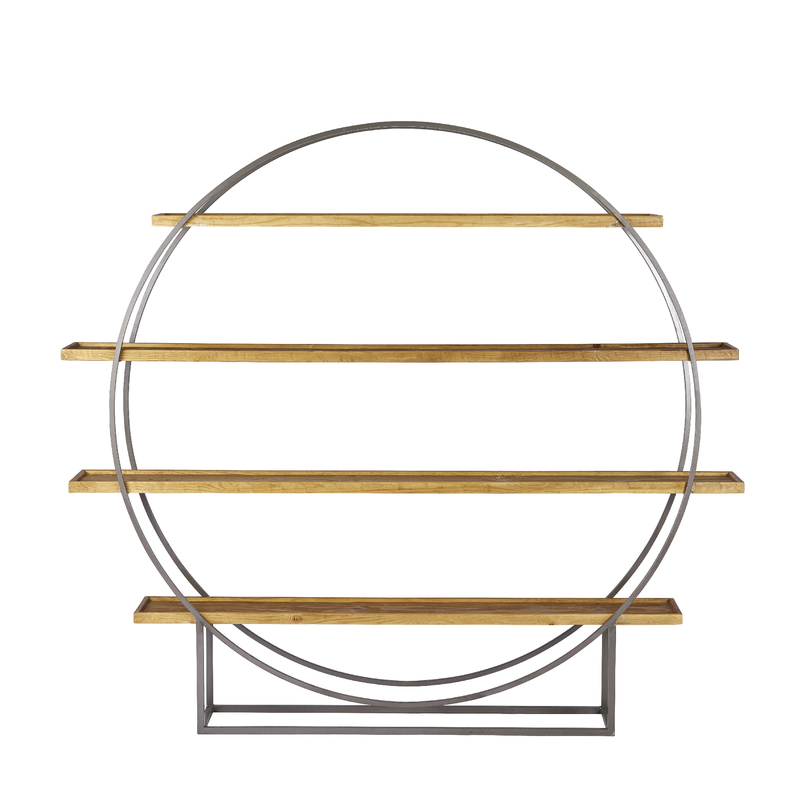 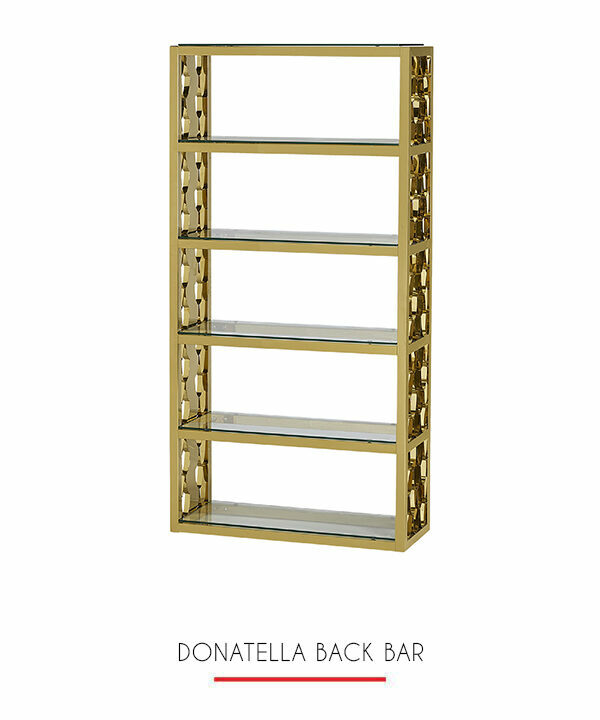 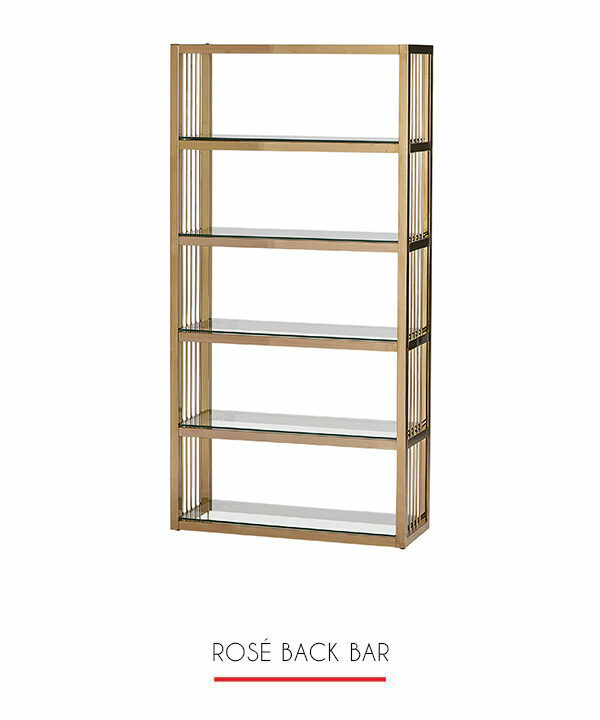 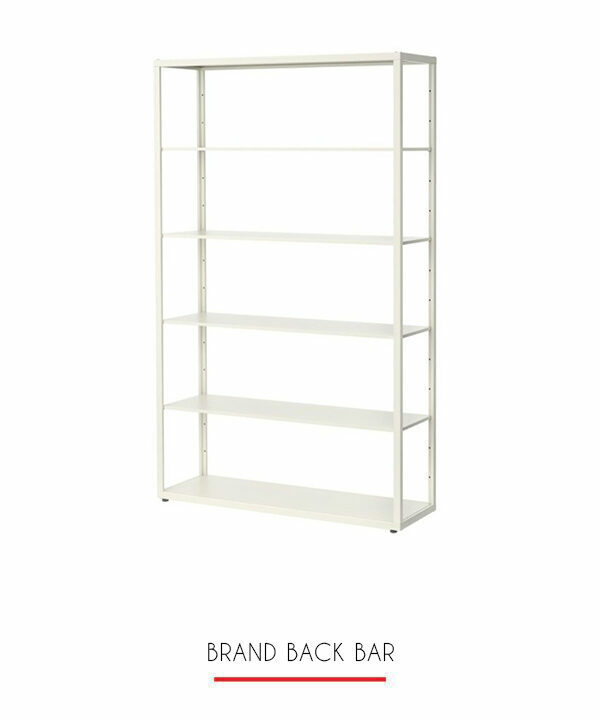 With a round metal frame work and beautiful wood shelves there are four levels to display your liquors and spirits. 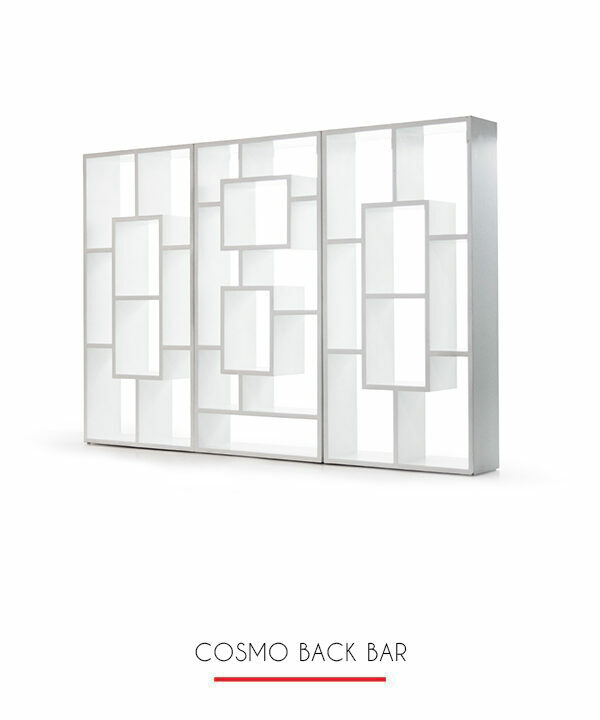 Guests will be drawn to this area not only for a cocktail but to marvel at the beauty of the bar.